Can you fill 160 pages of a book on just one artist’s album sleeves? No problem, especially one with whom his labels have been so prolific over 60 years. For sheer visual overload this title takes some beating; every type of sleeve design is here somewhere. Many some were cheaply done throwaway designs, others are classics. 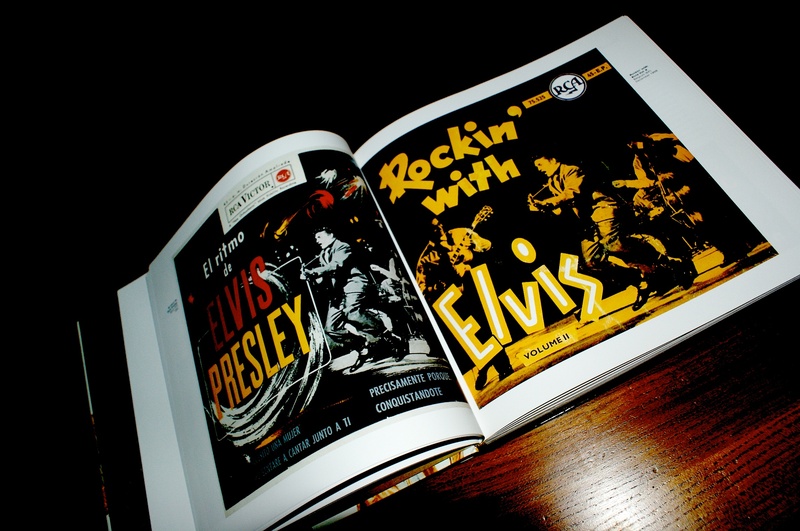 Lots feature Elvis himself naturally, but many go with popular rock and roll imagery, drawings and cartoons, both kitschy and yet somehow still fascinating to look at. You could spend hours studying the way-out typography alone. The sleeves are grouped by decade, while records which were issued in numerous different covers round the world are grouped together. Sensibly the book concentrates on the vinyl from 1957 onwards, and leaves later CDs out of it. Most of the content comes from the author’s own collection, reputed to be the largest in the world. The books however loses house points for a rather dull layout, with lots of wasted space on some pages. White space is OK if done well, here it looks as if nobody has thought about the grid. The sleeves are also undercaptioned; no catalogue numbers, no context and certainly no design information. Despite this, it is a book which deserves space on the shelf of anyone interested in record design. 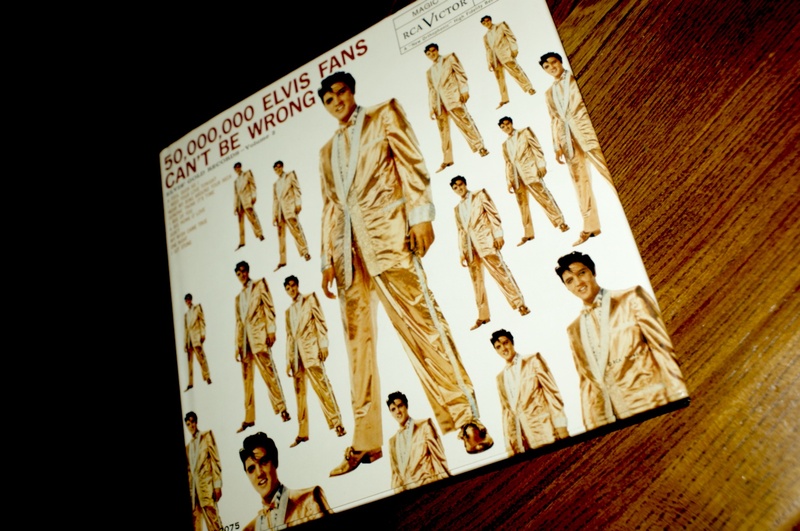 The fabulous (and oft imitated) ‘50,000 Elvis Fans Can’t Be Wrong’ sleeve on the cover is almost worth the purchase price alone (I must admit I only own one Elvis album, and this is it), while Clash fans will be able to see where the London Calling sleeve was nicked from on page 20.